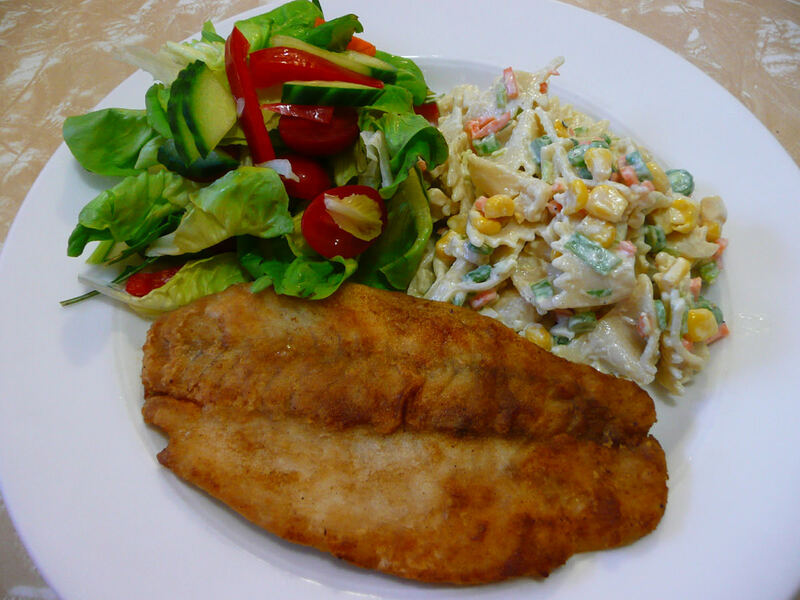 Another fish and salad dinner: barramundi fillets coated in seasoned flour, served with garden salad and pasta salad. 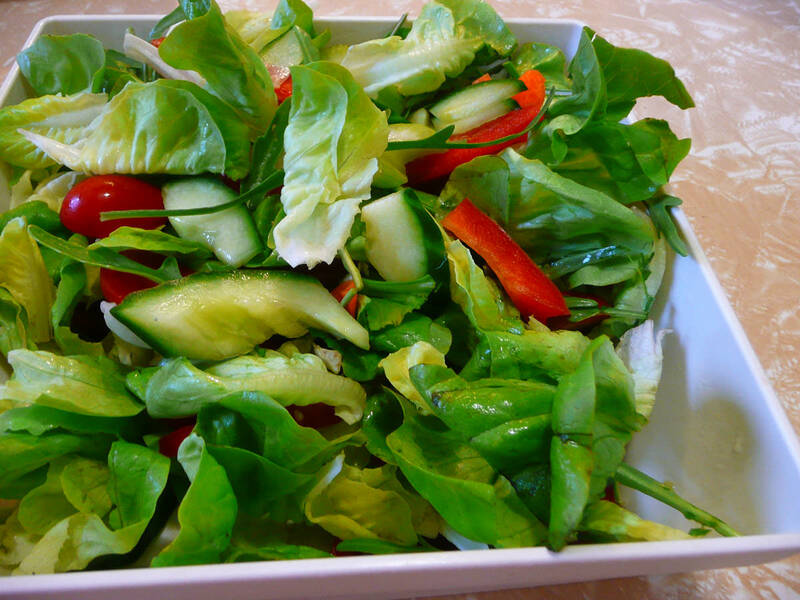 The garden salad was very simple: mixed greens, cucumber, capsicum and grape tomatoes. I ate it just as it was, no dressing. 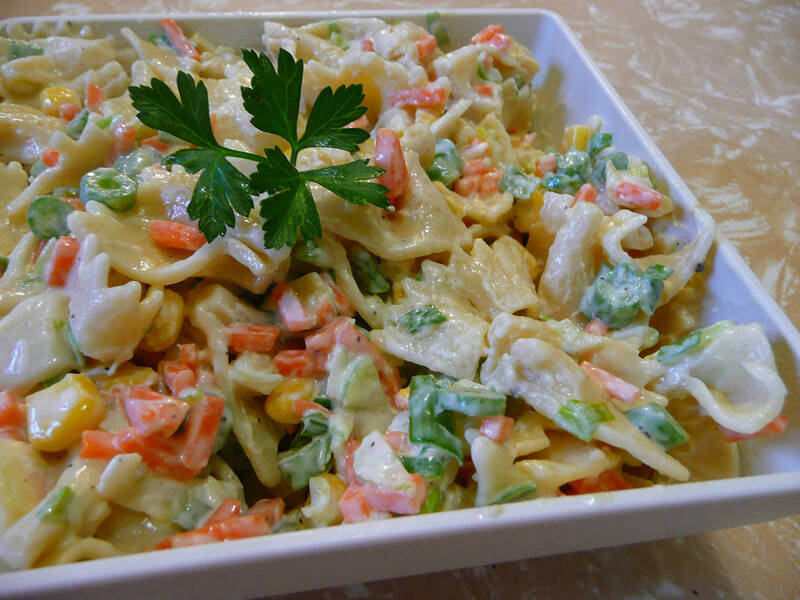 Jac used pasta bows (farfalle) in the pasta salad – she chopped the bows in half, though – she simply thought they were too big (I didn’t agree, but she was the cook, not me)! Through the pasta, she tossed chopped green beans, spring onion, carrot and corn kernels, dressing it all in mayonnaise. I loved the different textures of the various ingredients, especially the crunch of the beans and the popping of the corn kernels, all coated in creamy mayo. 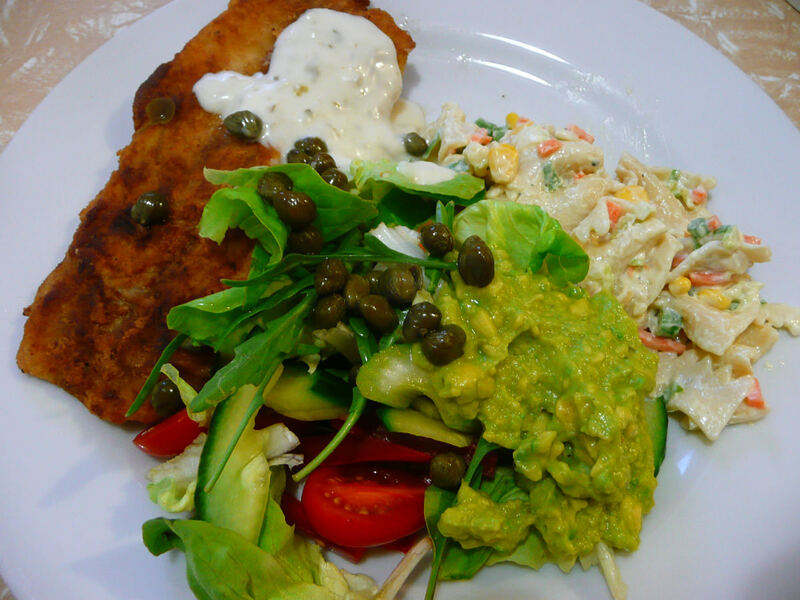 This was Jac’s plate, with a few extras: tartare sauce on her fish, mashed avocado seasoned with salt and pepper, and a handful of capers.